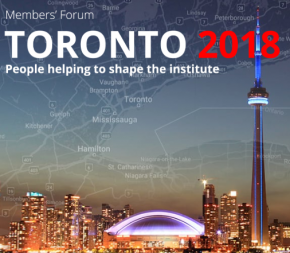 At Members’ Forum 2018 in Toronto, we invited panellists from across the construction industry to debate with the young professionals and students entering the sector. During the first session, they discussed topics such as skills shortages, modern slavery and environmental issues to take a deeper look at the current state of our industry across the globe. Chaired by CIOB Senior Vice President Charles Egbu.